Kate, Anna, and George are three unlikely friends who meet at UC Santa Cruz. Kate and Anna were roommates “thrown together not by the careful dorm-room pairings that the housing administrators prided themselves on but simply because they were late applicants in a pond of already-paired fish.” They meet (or, rather, come across) George as they are leaving a frat party. She is passed-out drunk under a willow tree, abandoned by her date. They rescue her and bring her back to their dorm room to sleep it off. And, as is the case in college, the three are immediately fast friends. The book follows the three on an unchronological path (jumping from their high school years to decades after college and everywhere in between), documenting their steady friendship despite years of life changes (marriages, divorces, kids, careers, etc.). Kate is an orphan, raised by her Czech grandfather after her parents die in a car crash (“When you’re raised by someone who arrived in this country on a boat, it takes a while to shed the old-world ways. Kate would never lose that knee-jerk respect for her elders.”). Before college, she had never left the state of California (and, for that matter, hasn’t ventured far from Santa Cruz). She is the voice of reason and the worst-ever wingman, but suffers from inertia. George is tall, beautiful, and athletic, but easily taken advantage of. When Kate and Anna find her beneath the willow tree, she “was wearing a short black dress hiked up high on her almost comically long, well-toned legs” and the “smell of vomit was in the vicinity.” She loves the great outdoors and becomes a forest ranger . . . only to have her dreams derailed by a string of ill-advised relationships. Unfortunately, it seems like Lutz didn’t give her characters enough credit to carry the day. Instead, she relies on a jumpy narrative style, seemingly in an attempt to make the book more exciting and suspenseful. Chapter by chapter, the book hops from one year to another. And, because of that, there are too many places to keep track of, too many different minor characters mentioned, and too many close jumps in time to make it work. For example, in 1998, the girls are still in college in Santa Cruz . . . but a couple chapters earlier, it was 1999, and they were in St. Louis. Because of the jumpy, non-chronological story-telling, you have no idea what brought them to St. Louis until much later. The end result: the timeline is clunky, confusing, and hard to follow. And it causes the ending to feel ill-fitting, random, and anti-climactic. Who should read it: Lindsay and Alana (i.e. people who truly understand and appreciate the impact and importance of college friends). 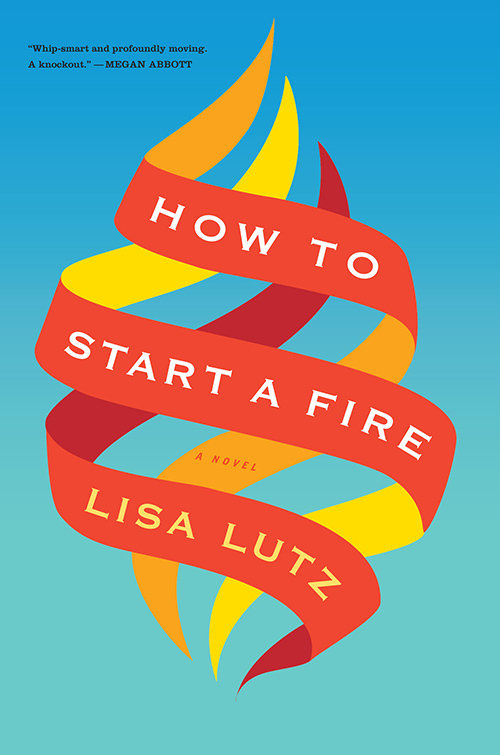 This entry was posted in Rating: 3/5 and tagged Book review, Book Reviews, Books, College, Friendship, How to Start a Fire, Lisa Lutz. Bookmark the permalink.